I create Miracle Homes®! Each home a client sells or buys becomes a Miracle Home®! A portion of each of my sales goes to the Children’s Miracle Network that serves kiddos in our Puget Sound Area. These funds give families of sick & injured kiddos the assurance their child will be well cared for, without worrying about finances. The money supports uncompensated care. I am very close to a critically ill child that is in & out of Children’s Miracle Network Hospitals. Fortunately, her family has the funds to provide for her care. I want others, without sufficient finances, to feel that same assurance. These funds provide that assurance. 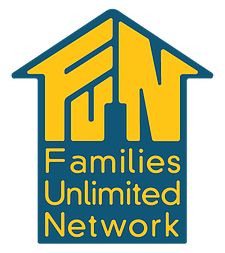 A portion of my sales also goes to FUN: Families Unlimited Network. This is a local food bank, after-school program and family resource center. They are heart-felt care providers to those in need! In my own family, I have a very dear friend who experienced an emotional tumble. I took her into my home & together we went to FUN. Through their programs & resources, she was able to regain her independence! I want others to have these resource when times are tough. Please let others know of these resources that may be in need! And, my wish is for abundant health and happiness in your family!